. 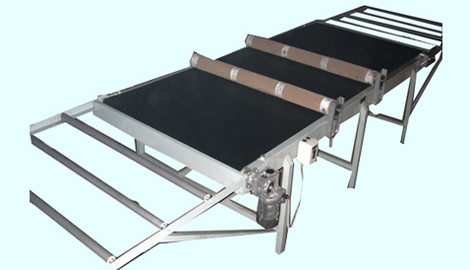 Conveyor is suitable for coding of Plywood / Boards.
. Used for sheet size upto 4ft. X 8ft.
. Two Nos. Rubberised Rollers are mounted on top.
. Roller Tables are provided at Infeed and Discharge points.